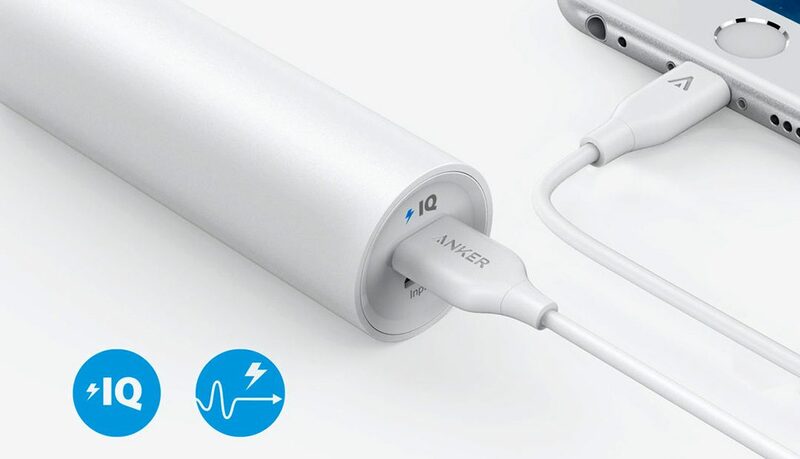 The Anker PowerCore 5000 has 2 high-speed phone charges fused into a cylindrical shell that slides neatly into your back pocket. Thanks to Anker’s advanced technology, PowerCore 5000 breaks the portable charging mold. High capacity no longer means high weight. A cylinder provides the most space-efficient shape possible. It perfectly contains its advanced battery cell and slides neatly into any pocket or pack.